HIDALGO — The fight for council member Place 5 spanned more than a year and was fought hard, but in the end, it didn’t make a difference — at least as far as the seat on the council is concerned. Oziel Treviño will remain at his post after defeating Gilbert Perez by 17 votes. 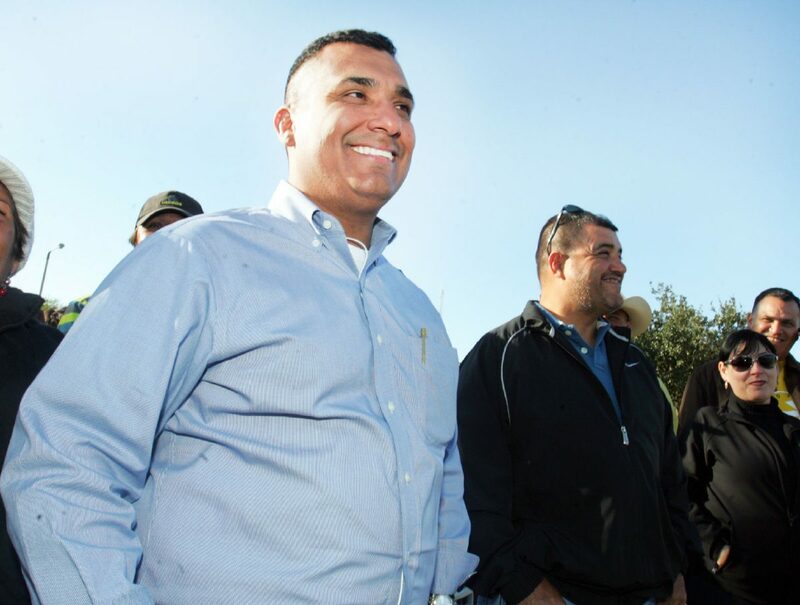 The small-business owner received 1,102 votes, while Perez received 1,085. This marked the third time Treviño and Perez faced off at the ballot box. After battling a contentious race May 2016, the candidates were forced into a July runoff that ended with a victory for Treviño with a six-vote difference. 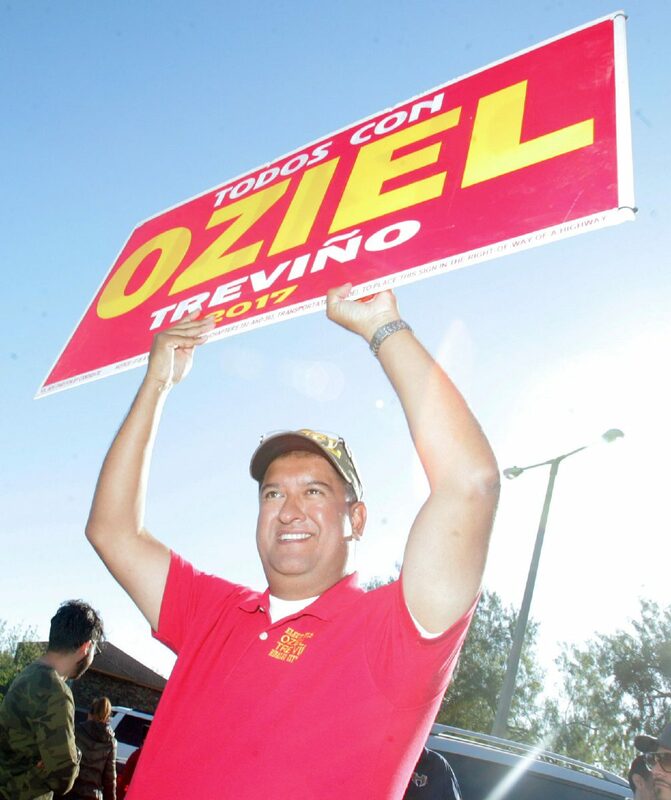 Oziel Treviño campaigns outside a polling place during the special election for Hidalgo City Council Place 5 at Hidalgo City Hall on Saturday, October 28, 2017, in Hidalgo. After a recount, Perez accused Treviño’s camp of voter fraud and state District Judge Don Wittig agreed with him. Wittig ordered a second election late last year after he found “clear and convincing” evidence Treviño received votes in violation of the Texas Election Code. Wittig gave the city about three months to organize a second election due no later than March 6. Perez, however, appealed to the 13th Court of Appeals, but the court refused to hear the case, triggering Saturday’s election. Perez lamented what he described as a waste of time and resources before Saturday’s results were revealed. It’s unclear how much the city paid Hidalgo County Elections department to run the election. “I’m definitely going to ask,” Perez said. “I think now that the state and Gov. (Greg) Abbott’s office has stated that voter harvesting is a felony, not a misdemeanor, people are taking it a lot more seriously,” Perez said. Electioneering is serious business for the small town of about 12,000 people. Several political parties have formed within the city seeking control of the city government, and battling it out on social media. Fights, both physical and virtual, have broken out and employees routinely accuse their employers of political retaliation. This election was no different, with both sides disparaging each other on Facebook and Twitter. Treviño, however, maintains he has done nothing wrong. “I’m clean, and I’m going to prove all those things posted about me are lies and phony advertising,” Treviño said. He also said he would begin working to unify the factions for better outcomes at the city council meetings.